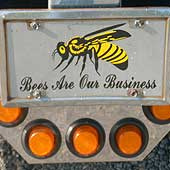 We may not realize how important a player bees are to our environment and economy until the mysterious problem of Colony Collapse Disorder started to decimate the numbers of honeybees. This films looks at the world of bees from the perspective of scientists, beekeepers, and other experts and how we can bring them back for the sake of our food supply and global economy. 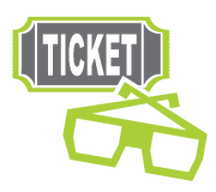 Screening is free, but a vegan buffet dinner may be purchased beginning at 6:30 pm. Presented in partnership with Reel & Meal at the New Deal. What is autism and why is it on the rise? What environmental or genetic factors could be contributing to the epidemic increase in childhood autism and how are both orthodox and non-traditional therapies being explored? Alex dreams of following in his idols' footsteps by becoming a basketball star. Will a new friend help him reach that goal? An animated take on how life never truly ends, as seen from the perspective of plants who experience perpetual rebirth from season to season. Ever wished you could help a filmmaker make a film? Now you can without having to have any technical expertise beyond your critical thinking skills. 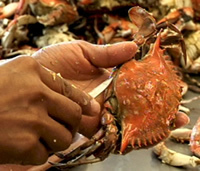 This special program will feature Adrian Muys' unfinished 67-minute documentary, Hands of Harvest about the interdependence between Maryland crab fishermen and Mexican immigrant workers on the Eastern Shore. Following the screening, staff from Docs In Progress will moderate a workshop-style session in which the audience can provide constructive feedback to the filmmaker. This program is presented in partnership with Docs In Progress and is supported by a grant from the Maryland State Arts Council, an agency dedicated to cultivating a vibrant cultural community where the arts thrive. It's morning and the marchers have begun to assemble. Groomed and practiced and ready for action, they greet each other with a wave and smile, and - for the more intimate of the group - a sniff of the behind. A washed up rock star has all but given up on life until he meets a mysterious woman who asks him to take her to her ancestral home of Guanajuato, Mexico. This road trip becomes a journey full of lessons and revelations. In Spanish with English subtitles. Mature themes. A struggling artist desperately tries to recover from a childhood trauma, but her life is turned upside down when she is haunted by the vision of a long dead childhood friend. Is the sprit a hallucination or a foreshadowing of something worse to come? 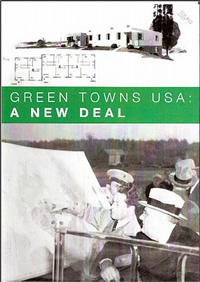 Planned and built near major cities in the 1930s as alternatives to inner city slums, Greenbelt, Maryland, Greenhills, Ohio, and Greendale, Wisconsin were Depression-era experiments in federally-directed suburban planning. But when the federal government withdrew its support, each of these towns had to make it on its own. A look at how these three green towns have taken different paths with varying success as they dealt and continue to deal with issues of urban sprawl, ecological awareness, governmental leadership, and community identity. Screening with Whitehall. Two aliens from the future are sent back to the past to save Earth from carbon burning by destroying all the planet's technology. Nicknamed the Buffalo Soldiers, the 92nd Division was an all African-American combat unit which fought in Italy during World War II. These men fought two wars at the same time, one against the Nazis, the other against the racial discrimination which forced their unit to be segregated from white American soldiers. 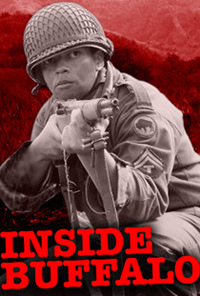 Includes an interview with Vernon Baker, the last living African-American WWII soldier awarded the Medal of Honor. Screening with Black Soldiers in Blue. The latest installment of the animated series brings a popstar to Jessie's talkshow. Kevin is a quiet 7-year old who walks home every day by cutting through the park. One day he meets a girl at the park and they soon become friends. But something is different about her. When eight-year-old Li Tong wakes to the cartoon sounds of her new alarm clock, she believes it will be a day like any other. With her father away on business and her mother working the nightshift at the hospital, she gets herself ready in her own special way and hurries out to catch the city bus. Little does she know that she is starting a journey that will take her far beyond the gates of school through the old and new streets of a changing Beijing. 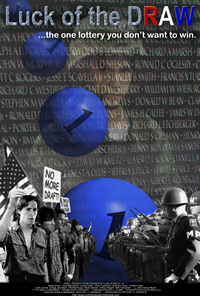 In the midst of the Vietnam War, you are 18 years old and tonight your fate will be decided by the one lottery you don't want to win. In 2006, after years marred by war, Beirut was set to host its own marathon. But what happens when violent political turmoil threatens the race? A new way to look at celebrity mug shots. 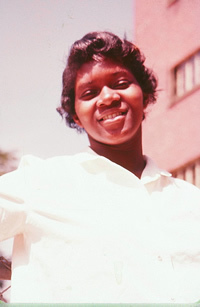 The story of an African-American woman who moved from the South to the North and became an unlikely community activist during the civil rights era. When his two best friends start dating, Samir withdraws from his teenage world and befriends a couple of 20-somethings. But is the other side of 20 all it's cracked up to be? And if not, will Samir find his way back to 16?